Robots are getting out of hand. Photo courtesy of Margie Kent. What did you expect on “All you can eat” chili night? Those crafty Nipponese. They think of everything! Who’d-a-thunk of a self-dirtying loo? High tech bathroom-it does everything for you. EVERYTHING. You don’t even have to enter the toilet to use it. 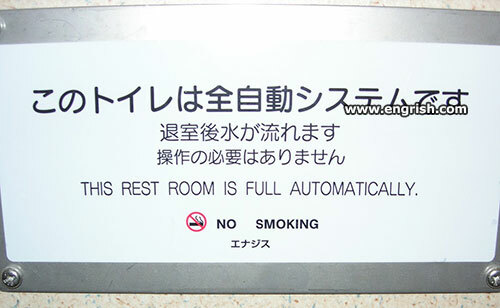 This washroom is foolproof automatically. The have it delivered thrice daily. The head engineer Minutsa Tonoffa, realized the automatic toilet had teething problems, when the automatic bum wiper, removed his testicles in one foul swipe. AhitotoTanakas Goddess Model Automatic toilet had to be recalled. (women’s only model) Several hundred men sat on their lady’s toilet, and had their assets smashed and removed. It appears the the arm which pats off the last few drops using a disposable pad, was the problem. Due to the difference in clearance there between men and women, their testicles were smashed into the lower part of their pelvic bone Due to this their family jewels were forced into the mechanism, which then retracted, neatly removing them. Ahito Tanakas = a hit to ta’ nakas. …but we’ll carry on, under turd. Archaic use of “fell” meaning “deadly”. The kids will probably resurrect that one, one day.